1/11/07 ~ New -> The fourth podcast will be delayed a bit. The third podcast in the Tiddle-Taddle Pibble-Babble series is up. You can give it a quick listen with the Odeo player to the right, subscribe in iTunes, or link directly from the Shakespeare High Podcast Center in the PAC. Be sure to check out the show notes in the Cafeteria and leave comments. The only way the podcast will improve is if you let me know what you like, don't like, and want to hear in the future. Be a part of the show by sending e-mail to podcast@shakespearehigh.com and/or sending a voice mail through the Shakespeare High Podcast Odeo page. I look forward to hearing from you! 1/10/07 ~ Happy New Year! The Cafeteria is finally open! You will have to re-register with a working e-mail address for verification. I created my first official Shakespeare High podcast tonight! Check out the show notes in the Cafeteria and subscribe to the feed using the links in the PAC! Please go back to the Cafeteria and let me know what you think. 12/25/06 ~ Merry Christmas! I'm taking a little break from my Christmas cleaning to wish you all a happy holiday! I decided to stay home this Christmas so that I could get my spring cleaning done early since I'm in the middle of directing R&J. I know that I won't think about cleaning anything for the next 8 weeks! ;-) I'm also taking some time to get the new message board up and running. I was trying to convert the old board over, but I'm having a tough time dealing with my ISP. They keep shutting down the old board, so I don't have a chance to do the backup and conversion. The good news is that I did a Google search for some of our old topics, and they have the pages cached. If you really want to retrieve an old topic, that's the way to do it. You can simply cut and paste the old posts into a new discussion. It's a bit of a pain, but at least it is doable. I hope you all have a lovely day with your families! 12/17/06 ~ IMPORTANT NOTICE: 7:30pm PST Update: My power has been out since the wind storm in the Pacific Northwest last Thursday. It recently came back on, so we were finally able to disband the "fort of warmth" we created in the living room and cook a real meal! I have over 500 e-mail messages to wade through now, but I can see that the cafeteria has been down since Thursday. Again, I send my apologies to the students studying Hamlet and hope that your teacher will understand that the technical difficulties were unavoidable. For my long-term members, please check back at the first of the year for a new and improved cafeteria! 12/13/06 ~ IMPORTANT NOTICE: 11:30pm PST Update: Wow...I can't believe I've spent 2 hours on this tonight! So much for going to bed early. The good news is that the board is up...for now. The bad news is that hackers are exploiting it which caused the shut down. If they continue (which they will...this has been going on for a couple years now), my entire site will be shut down for at least 24-hours. I'm running that risk in hopes that the Hamlet students will be able to complete their work by Friday. If the site does go down, I won't be able to fix it until winter break since I'm directing R&J right now. Whether the site goes down or not, I must get a new message board, so please be sure to copy any old messages you want saved, because we will most likely lose the entire archive. That truly breaks my heart...we've had a lot of amazing discussions for many years in the Cafeteria/DZ; I hate to lose that! 12/13/06 ~ IMPORTANT NOTICE: 9:30pm PST Update: It appears that the Cafeteria has been unavailable since approximately 2:30 this afternoon. I've received many frantic e-mails concerning this as many of you are trying to complete a class assignment. It's currently 9:30pm PST, and I'm going to do everything in my power to get the board up and running tonight. The few things I've tried so far have not worked, so I'm not feeling really confident right now. I apologize for the inconvenience. I'll post a message here as soon as the Cafeteria is back in business. P.S. In the meantime, I suggest passing the time by listening to one of my podcasts in the PAC or checking out one of the fun activities in the Student area! I'm currently creating podcast tutorials for Shakespeare High and am brainstorming ideas for a SH "radio show"! Visit the Cafeteria to help with the brainstorm session. I created a new "SH Podcast" forum for our discussion! New > I took the leap and added a podcast page to the PAC! Check it out and then make comments in the Cafeteria. Thanks! 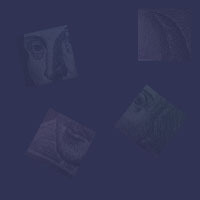 3/25/06 ~ Make sure you check out the news article about Shakespeare Behind Bars! I'm really excited about seeing this documentary. I'm planning on seeing it in Seattle on Saturday, April 1, so I'm hoping some of you will be able to join me. The film reminds me of an experience I had with one of my former alternative school students. When he went to the state prison, he wrote to me and said that there was a long waiting list for the Complete Works of Shakespeare in the prison library. I sent him several plays so he wouldn't have to wait! When he got out, he joined a short-lived Shakespeare company I founded, and we saw several Shakespeare productions together. He has grown into a fine adult with a beautiful wife and kids; I'm so proud of the man he has become! I hope that this film not only shows people the life-altering power of Shakespeare's language and plays but also the power of forgiveness. Watch the trailer to learn even more! 3/14/06 ~ "Beware the Ides of March!" During a Shakespeare exercise yesterday, I asked my students if they knew what the Ides of March was; although some had guesses, none of them really knew. I'm going to put Wikipedia's Ides of March URL on the board on Wednesday so the kids can learn the origin of the Ides. At the bottom of the article, it lists other uses of the phrase. I knew about the Iron Maiden song and the novel, but I had never heard of the band or the Xena episode. I didn't watch Xena, but I'm going to have to try and catch this episode on the Oxygen network since I'm a big Shakespeare in popular culture fan! On a bit of a side note, Lucy Lawless appeared on Battlestar Galactica this season and has a 10-episode arc next season. 3/8/06 ~ Okay, kids, here is one from the random file. I don't know how I discovered this...oh, yes I do! I'm currently procrastinating; I'm messing around with this site instead of typing up the final I'm giving tomorrow. So, I guess that finding the following is fitting. I ran across the official "Too Much Coffee Man" website, which is a comic strip created by Shannon Wheeler. I found it while doing a Google search for Shakespeare images. Here is a comic strip that uses a sonnet. I tried to learn more about "Too Much Coffee Man" on the website, but I got too distracted by the comics! Honestly, I don't find most of them to be all that funny, but a few did hit home and made me laugh. 2/13/06 ~ Technology overload (I can SO relate to this! It really made me laugh, because I've been feeling the need to simplify my life. I need to print this one out and then go read a book!). 3/6/06 ~ Do cameras steal our souls? This is good! So, what do you think? Visit the Cafeteria to discuss this topic. 2/28/06 ~ In the Shakespeare News section of the Cafeteria, I like to include interesting current event articles about Shakespeare. Each news item is automatically linked to the front page, so be sure to check it first when visiting the site. When looking back through the news archives, I realize that I don't focus much on specific performances. I think this is because I read Mike LoMonico's blog, News on the Rialto, and don't feel the need to repeat that information here. Although I link to his blog elsewhere, I'm realizing that some of you may have missed it, so I'm adding a permanent link to the front page. Mike linked to a fun Shakespeare in the Movies quiz a couple of days ago, and I earned a 9 out of 10. It said that I'm "either Kenneth Branagh or a English literature student with far too much time on your hands" like that is a bad thing! FYI--I missed the question about Peter Sellars; I guess I know which film I need to watch! 2/21/06 ~ It has been nearly a year since I last updated this section, and that is simply pathetic! I've been reading a lot of blogs lately and wondering how people have time to update them; I would not be a successful blog owner. That being said, I am going to make more of an effort to add bits and pieces to this site each week. It won't be much--simply a link here or there or some interesting tidbit I picked up while reading. So, check this space weekly. Check the news section. Post in the cafeteria. Read the plays, go to local productions, rent the videos, and then come back here and share your thoughts with the rest of us.